UVA, like any other college, has a very wide variety of majors: American Studies, Cognitive Science, Dance, Italian, and Philosophy are just a few. The difficulty is choosing which path to take, and for many students this is a stressful process. 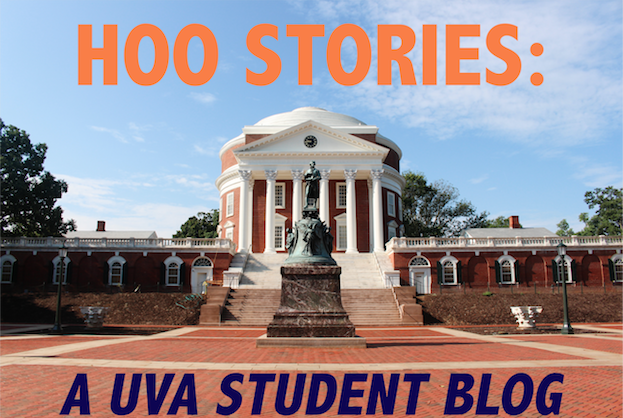 The most common thing you’ll hear during your first year at UVA is “don’t worry, you have time.” And you do. But there are just so many interesting classes to take and professors to meet. For me for instance, my major has changed many many times, from Neuroscience, to Math, to Biology, to Environmental Science most recently. The great thing about the College of Arts and Sciences is that it has requirements, and though these are sometimes a hassle to complete by your 4th year, dabbling in different subject areas such as science, the humanities, and even art, is a great way to explore new topics. And you don’t have to declare a major until the end of your 2nd year. So it’s true, you do have time. There are many advisors who can also help you choose classes each semester and give great advice towards choosing a major. Some students come into college knowing exactly what they want to do. And most other students, like me, have absolutely no idea what they want to study. The key for choosing a major is choosing about 3 subject areas that interest you a lot. Look at the required classes you have to take for each major before you declare your 2nd year. Many sciences require lots of basic classes like chemistry and biology and math before you can declare. Other majors, like politics, only require you to take one politics class before you declare. Keep track of your requirements so you can fulfill them in two years. The important thing to remember is that a major is a field of study and not a career. At the end of the day, choose something you actually enjoy doing. Eenie Meenie Miny Moe...Catch a major by the toe! Unless you’ve been living under a rock while reading my blog posts, I’m sure you all know by now that I’m an engineer, so I basically live in Rice Hall, or some other building on E-Way, the sidewalk where you can find all of the engineering buildings. E-Way is beautiful in the spring, and usually full of food as the Engineering Student Council (affectionately known as E-Stud) puts on E Week, where there’s basically just free stuff for engineers everywhere! My personal favorite is the date function on Friday night…called f(date). Get it?! Function of date? Date function? Hahahaha I sure do love me some nerd humor. 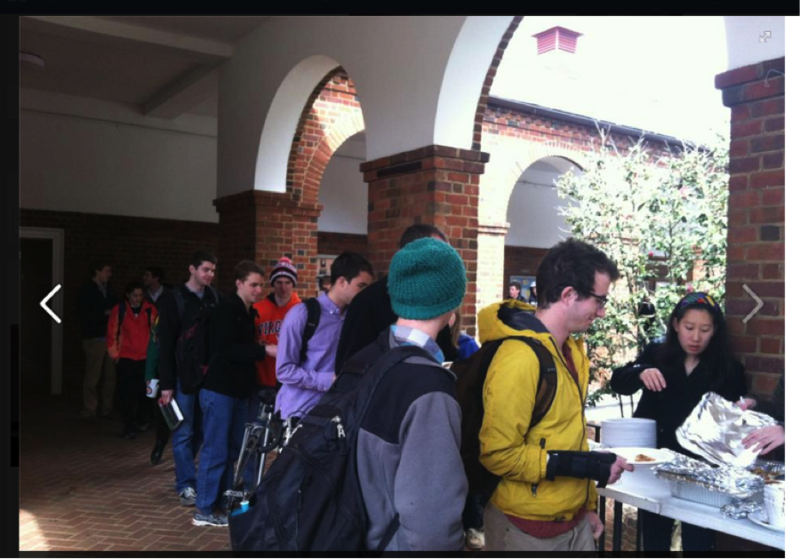 AOE, the engineering sorority, gave out free Marco and Luca dumplings during E-Week. There are plenty of stereotypes about the workload in engineering, but honestly, it’s the same as it is in any other school: definitely manageable if you plan your time out. We’re all busy, but professors generally understand that you have more going on in your life than just their class. That being said, engineers definitely have more hard assignments due, so like problem sets that are graded for accuracy, as opposed to soft ones, like reading, than most of the other schools here. BUT I have written a grand total of 6 pages of papers (of words, papers of diagrams don’t’ count) in my two years at UVA. And that is certainly a plus for me! There’s only one stereotype about the E-school that I’ve found pretty accurate: the lack of girls…I’m usually one of only a few girls in my classes, but you can certainly find them if you go looking: rushing AOE was one of the best decisions I’ve ever made. The Nursing school tends to have the opposite stereotypes: girls wandering everywhere doing no work, but that is absolutely not true. Again, like the E-School, the gender stereotype has some truth to it (Nursing and the E-School tend to have mixers once a year to help even out the ratios), but those girls have to deal with more odd hours than anyone I know…some of them have classes or shifts at the hospital at like 6:30 AM?! I certainly couldn’t do it. 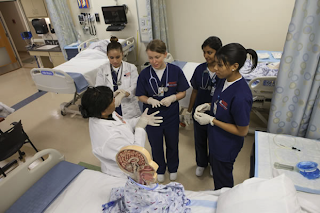 Plus, the Nursing school classes are a lot closer and more personal classes in many of the other schools, since the school itself is so much smaller. And last but not least, we have the ever-so-far-away-from-dorms Architecture School, known only as the A-school! A-school kids like to spend a lot of time in the studio working on their hands on projects, and a lot of time on the bus going back and forth from dorms to the A-School (about a mile away from grounds, near Lambeth Field upperclass dorms and the Drama buildings). It’s a really exclusive group of people though: the entire school is only about 300 people. So for all you potential future A-Schoolers, expect to spend a lot of time away from your dorm room around deadlines. Your essays aren’t actually essays, they’re pieces of art, but don’t think for a second that makes it any easier. Specialized schools at UVA all have their perks, but they all have their downsides as well. You’re at UVA, and we’re the number 1 public school in the nation for a reason…wherever you are, you’ll end up working hard, but you’ll have a great time doing it. Club Clem, anyone?